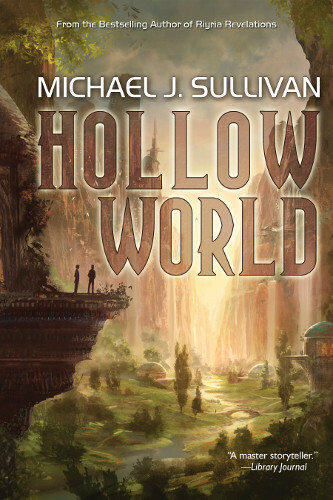 Bestselling author Michael J. Sullivan, writer of the forthcoming Hollow World, offers some excellent advice on how writers (especially neophytes) should choose a small press publisher. I think this is one of the first things you need to determine about any small-press you consider signing with. Those doing print-on-demand have essentially the same capabilities that you do as far as getting our books distributed. What this primarily means is that you can sell some print books online (at Amazon, Barnes and Noble and the like) but very few, if any, will be sold through stores. The reason is because stores really don’t buy and stock books; they get them more or less “on consignment.” In other words their shipment of books comes without them outlaying any cash…and when the bill comes due they can opt to ship back the unsold copies “for credit.” This types of system doesn’t work for a print-on-demand title as someone—and it won’t be the bookstore—needs to pay upfront before the book is printed. For this reason few print-on-demand books will make it to bookstore shelves. He also discusses some his reasons for choosing Tachyon Publications. The small press I recently signed with, Tachyon Publications, does indeed do print runs, and they have used IPG (Independent Publishers Group) in the past and are moving to PGW (Publishers Group West) starting in January for their distribution. Both of these organizations are highly respected, employ teams of sales people, and are adept at getting books by the small-presses using them into the bookstores. With partners such as this I felt comfortable signing on with them for Hollow World. One of the reasons I went with Tachyon is their reputation for quality. Even as a small press they get shortlisted (and win) Hugos and Nebulas. Again, this should go in your “nice to have” checkmark list and not necessarily be a deal breaker. After all competition in such awards is firece and more often than not the nominees are going to be from the large presses. This is just the nature of the game. Read the rest of Michael’s insightful article at Amazing Stories. A FREE extended preview of Hollow World which contains the first four chapters of the book (66 pages) is still available. For information on Hollow World, visit the Tachyon page. Cover by Marc Simonetti. Design by Elizabeth Story.